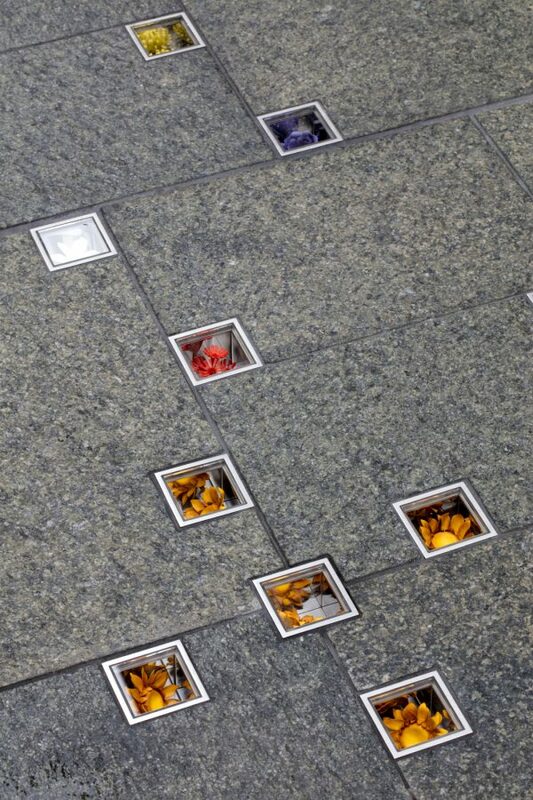 I envisage this memorial in Hyde Park to be a special and powerful place for contemplation and remembrance, a space for all our stories to be heard and recognised. 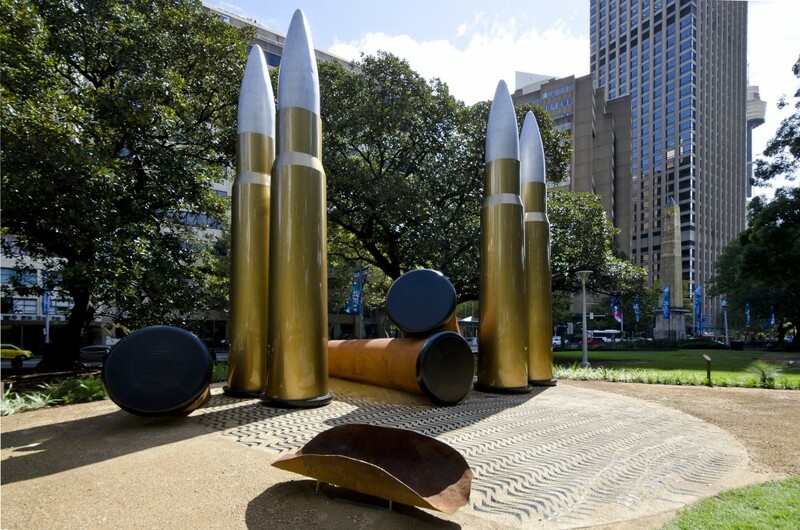 YININMADYEMI Thou didst let fall is a significant new artwork by Aboriginal artist Tony Albert to acknowledge Aboriginal and Torres Strait Islander men and women who served in the nation’s military. 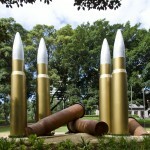 The artwork is composed of four standing bullets and three fallen shells. 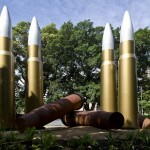 The bullet is a universal signifier for conflict. 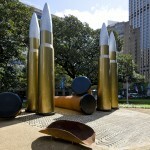 The arrangement of the bullets, with some standing and some fallen, represents those who survived and those who were sacrificed. 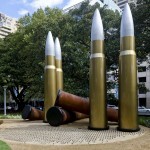 The artwork also references the circumstances faced by Aboriginal and Torres Strait Islander service men and women when they returned to Australia. They were treated differently from their white Australian comrades who were given land for their service while Aboriginal and Torres Strait Islander people were still having their land taken away. 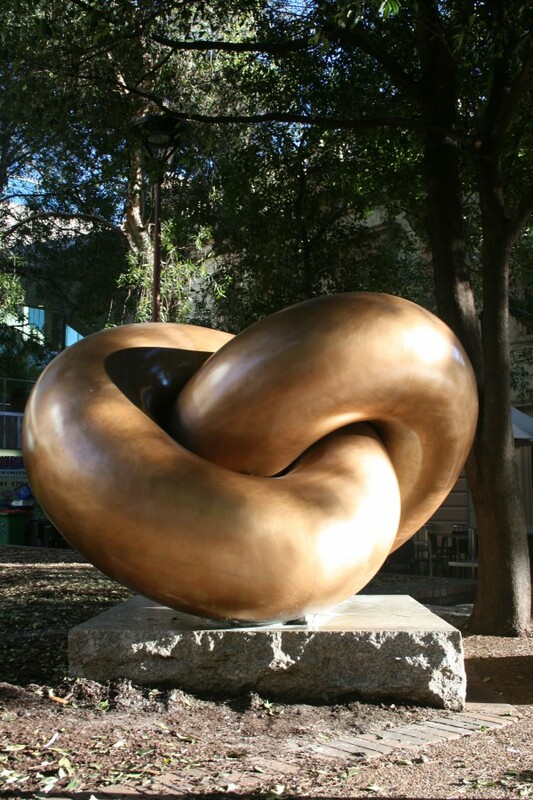 Hyde Park South has been chosen as the location for the artwork due to its status and historical significance. The site was once a ritual contest ground, a crossroads for traditional walking trails, and an important site for ceremony, gathering and camping. 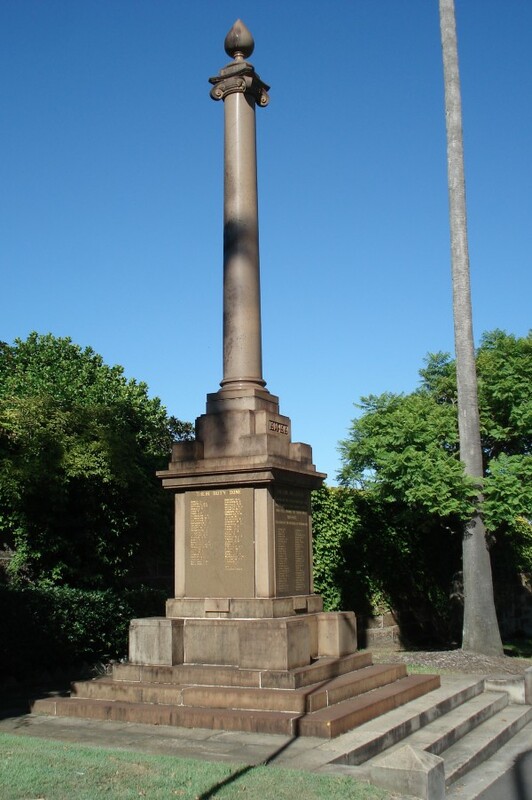 It is also home to the ANZAC Memorial. 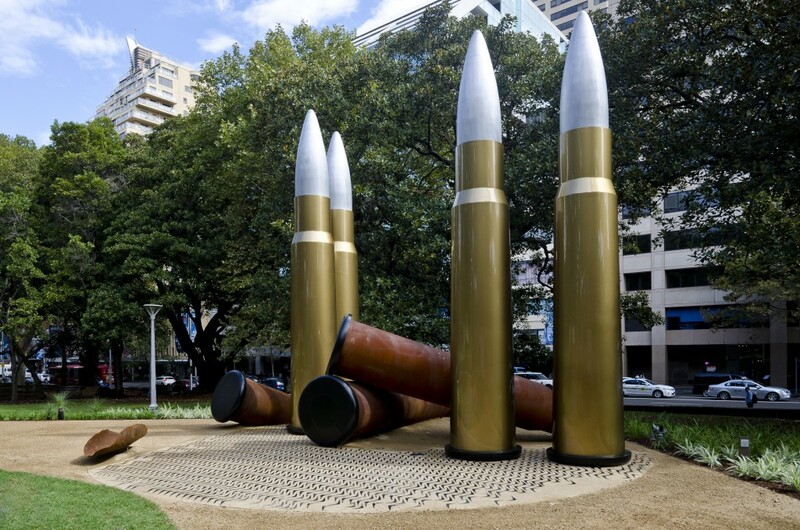 The artwork has the support of the Returned and Services League (NSW Branch) and the NSW Centenary of Anzac Advisory Council. 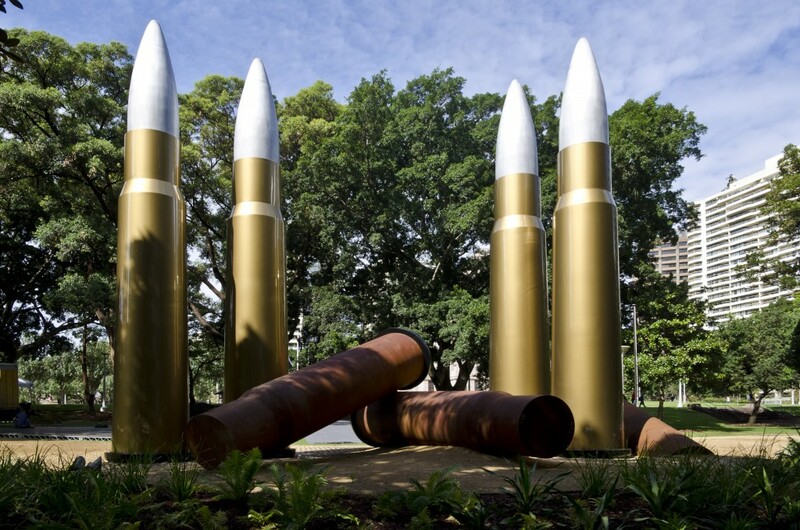 The City acknowledges the continuing work of the Coloured Diggers, the Babana Aboriginal Men’s Group and the Aboriginal and Torres Strait Islander Veterans and Services Association, and supports the Coloured Diggers march and commemorations. 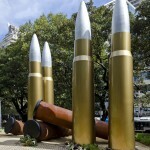 Sydney-based Aboriginal Girramay artist Tony Albert’s family has over 80 years combined military service. 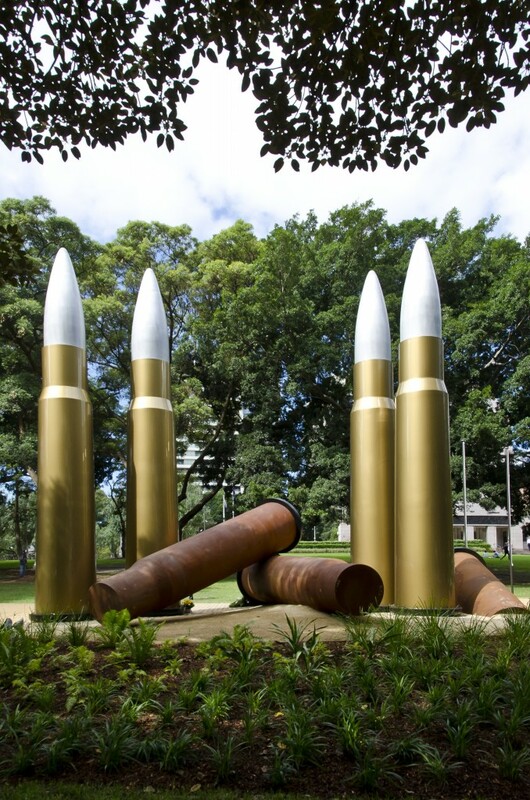 The concept for the artwork comes from the artist, whose vision draws on the experiences of his family’s service in the Australian military. Tony Albert is working with Cracknell & Lonergan Architects who are assisting in the delivery of the artwork. 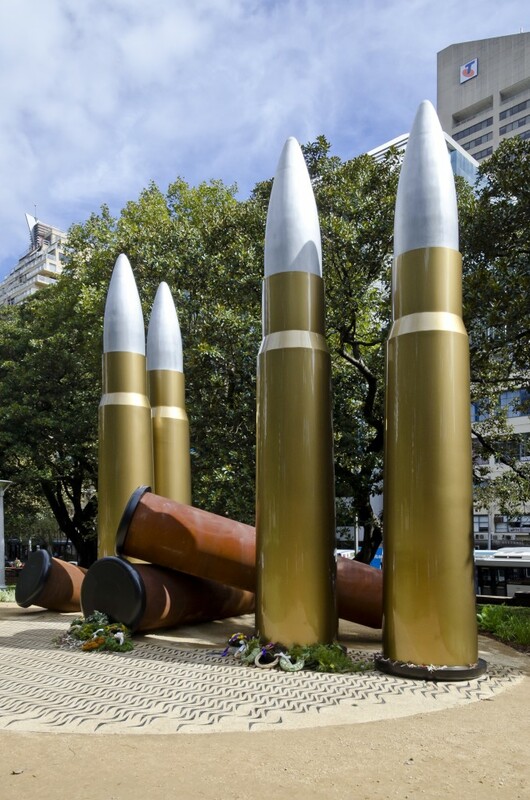 Dr Anita Heiss, author of Life in Gadigal Country, is also working with the artist to write an inscription honouring Aboriginal and Torres Strait Islander servicemen and women that will be engraved on the base of one of the fallen bullets. Tony Albert and the City of Sydney also acknowledge Trisha Albert, author of Unsung Heroes for her initial research on the story of Tony’s grandfather Eddie Albert. Eddie enlisted and served in the Australian Army during WWII, and it is his story upon which Tony’s concept for the artwork is based. The Eora Journey, meaning ‘the people’s journey’, is a program that celebrates the living culture and heritage of the Aboriginal and Torres Strait Islander communities in Sydney. Recognition in the Public Domain is one of the four key components of the Eora Journey. 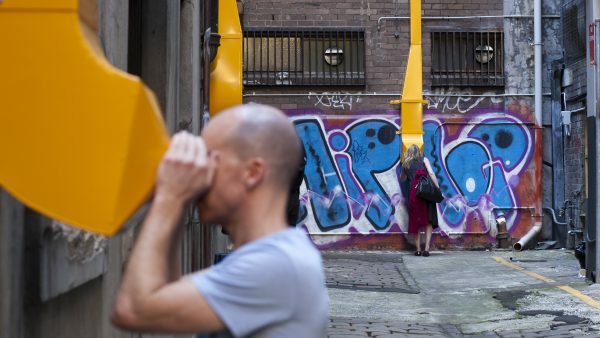 This project, overseen by Curatorial Advisor, Hetti Perkins, comprises seven major public art projects created by Aboriginal and Torres Strait Islander artists. 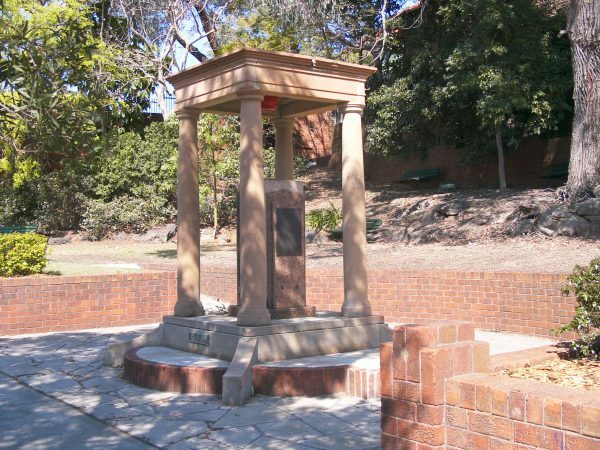 It aims to reactivate the knowledge of specific places and events in Aboriginal history at key sites within the city.